"Thank u 4 going thru all the hassles of sending to Australia! Much appreciated! ", "A1 seller & item +++++++++++++++"
A most magnificent show and the jewel in the crown of NAFAS flower arranging shows - The Festive Flower & Food Show held in Blackpool at the Winter Gardens. The standard of competitor's entries in the many different competitions was just incredible and most were nearly completed when we arrived in Blackpool around 9:30 one very wet and windy Thursday morning. We set off earlier that morning at 3am and arrived in our great big van ready to assemble our trade stand and for me to also compete on behalf of London & Overseas for Designer of the Year. So what went into making this show so successful? It has to have been the creative thinking and planning that was done ahead of time and then coupled with the energy and enthusiasm that the show committee and all of the volunteers brought in abundance. Ultimately the success or failure of this NAFAS show will boil down to finances and so while we wait to hear how the show faired we can know that everyone involved in it now knows what a good show feels like to work in. Especially how all the different show areas and timing fit together. 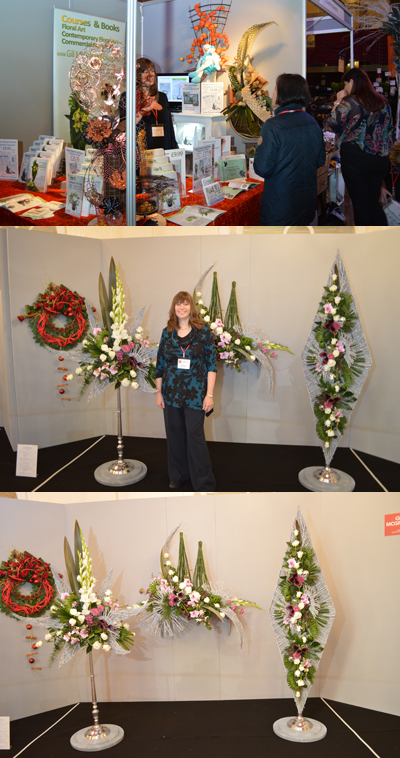 If you were lucky enough to be a visitor or especially if you competed, now is the time to spread the word to others about how good this show was at representing NAFAS and that NAFAS shows like this make it much more likely for NAFAS to reach out to meet, potential, new flower arranging club members. 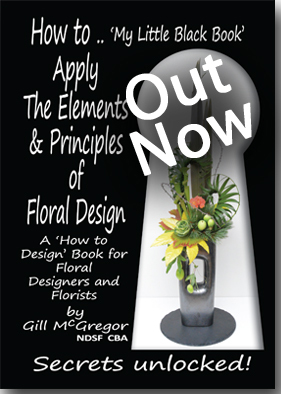 The Designer of the Year competition was watched live by audiences over the three days and the brief was to answer audience questions that might be asked; so as to create greater interaction and more opportunities to win over new flower arranging members. As competitors we were allowed to create 1/3 of our designs ahead of the day and so I used this to attached my twigs. We knew that we had to create three different designs in 5 hours during the first day. I elected to break my 5 hours as; the first hour doing leaf manipulation to get them ready for use, 3 hours to make the 3 designs and I allowed an extra hour to answer any visitor questions in the spirit that this interaction would aid the show's appeal and make it more likely that visitors would consider joining NAFAS. I am sure we all loved the experience of competing and having learnt so much I would jump at the opportunity to compete again at this level and I would like to take this opportunity to thank everyone for their fabulous comments about my work and the designs I created as part of this competition. Finally I wish to say well done and congratulations to Alison Cooper, Cheshire Area, winner of the Designer of the Year Competition. Having attended this fabulous show both as a competitor and as a trade stand holder, we saw so many different aspects of the show and with this in mind we wish to thank Mig, the show committee and all the volunteers for everything they did in putting this fabulous show on.